Shimano compatibility charts come in handy for assembling your bicycle, planning purchases, or troubleshooting. This page gives some guidance toward finding the part ID of your components. You'll need the part ID to find a replacement or evaluate compatibility of something new. It's marked on the inside. The photo is taken looking across the bike from the left side through the spokes or through the gap between wheel and seat tube. 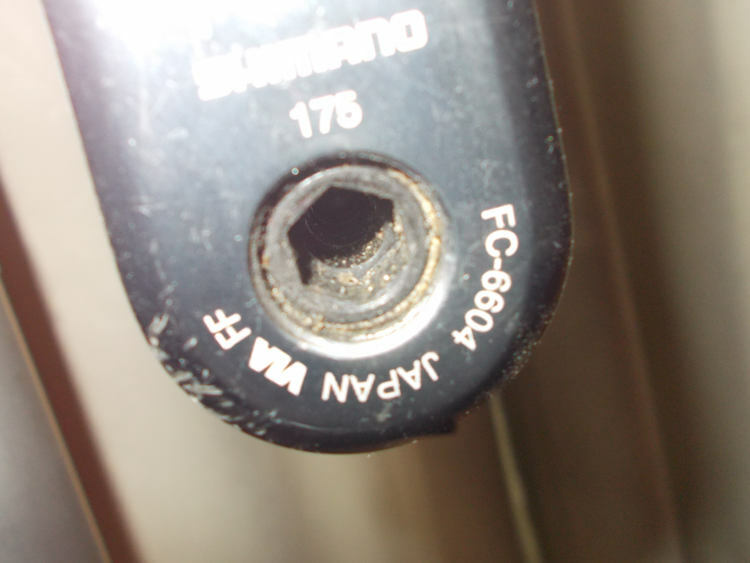 This was labeled quite small on the 6700 Ultegra shifters in the photo - it's not legible except from very close. 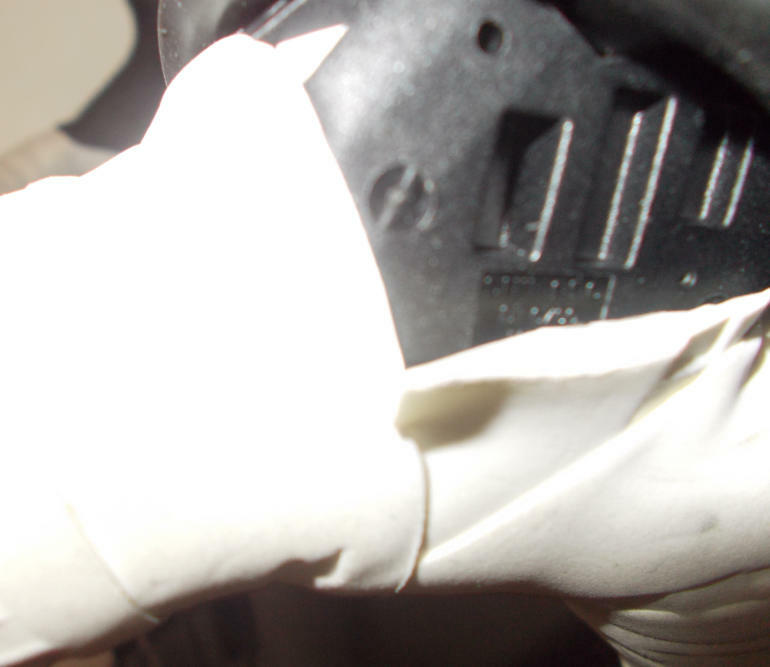 The ID can be found under the grip casing, near the handlebar mount point. 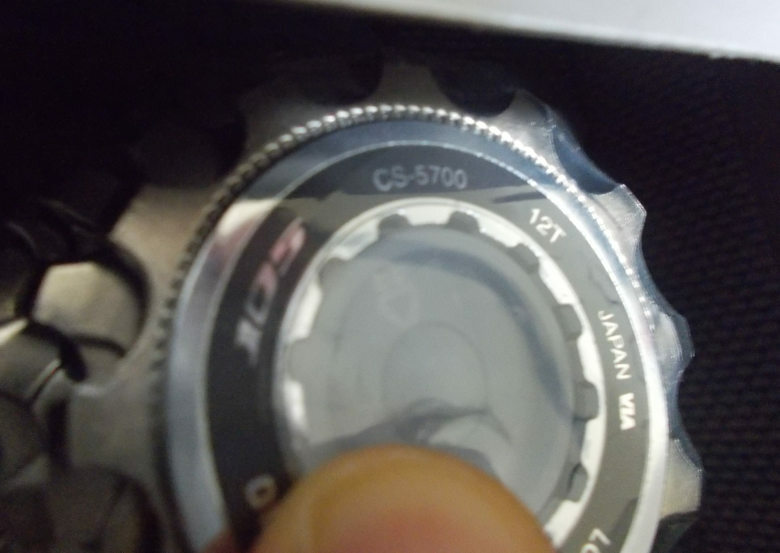 Another clue is if your shifter has a front cap, it should say "105", "Ultegra", or "Dura Ace" on that plastic cap. 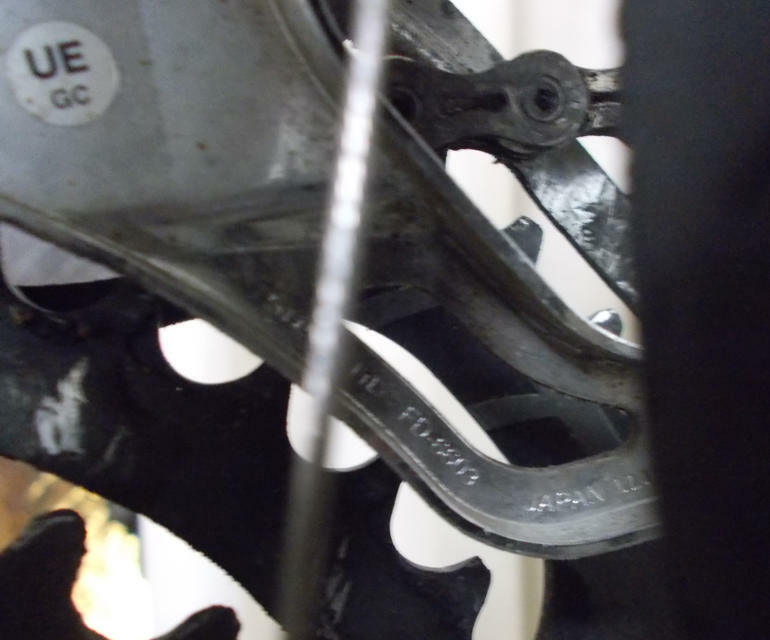 The rear derailer is marked on the inside of the cage near the spokes. The mark does not indicate GS or SS however (the photo shows RD6600, and this particular one is a long cage version). Triples will have a GS or long cage RD. Cassette sprocket ID is easy to find once you've taken off the rear wheel. It may be hard to read while still on the frame. There are also markings on some of the cogs to indicate tooth count, but it's easy to just count the teeth on a cog as needed. Usually a count of only the large cog will be enough to identify the sprocket. 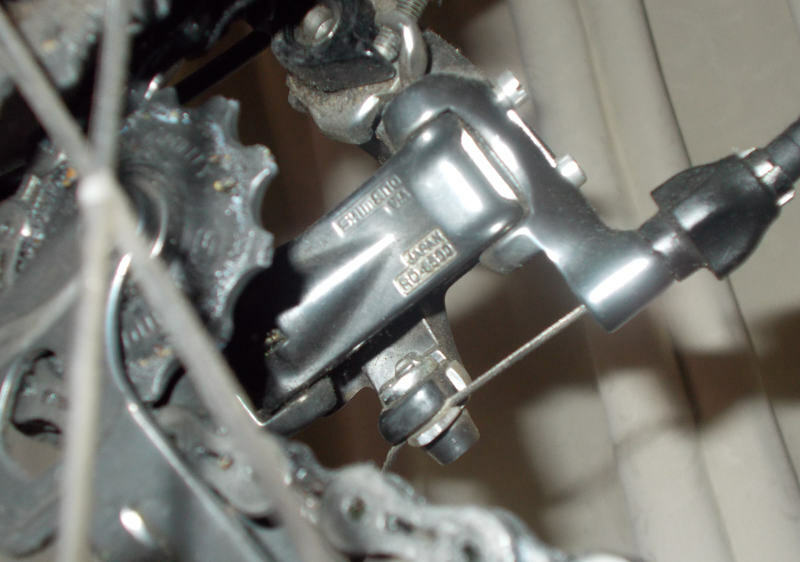 As shown, easy to see the ID (FC6604 in the photo) on the inside of the right crank arm. The part ID on Shimano chains should be visible on many of the links. You may need to check on both the road side and the frame side of the chain to find it. On a Shimano hub, the part ID is plainly labeled on the hub shell on the centerline of the bicycle. No photo needed, you can't miss it. Bottom Bracket ID on 10-speed road bikes is easily seen by looking around the left or right cup next to the frame. On 9-speeds, it was printed on the spindle so inside the frame. It may not be visible from the outside (on 9-speed or earlier models).